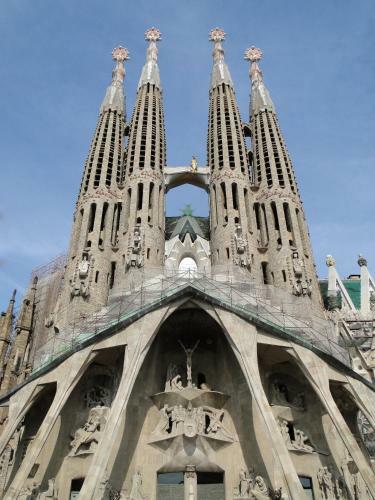 Set in the Gracia District of Barcelona, you can walk to the fashionable Passeig de Gracia in 20 minutes. 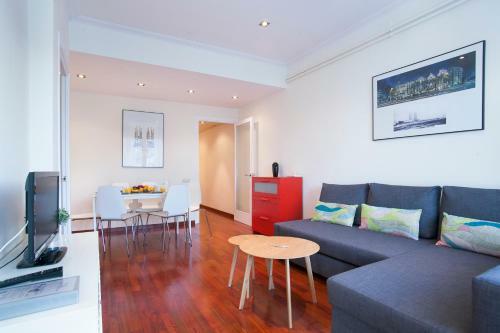 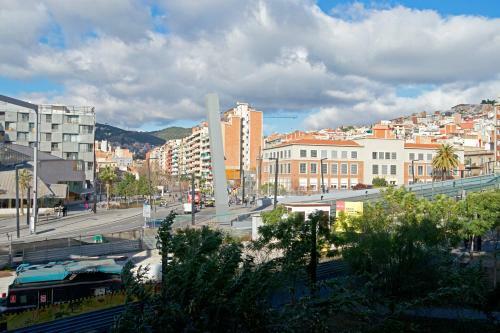 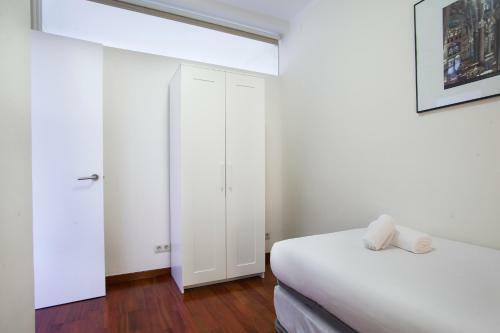 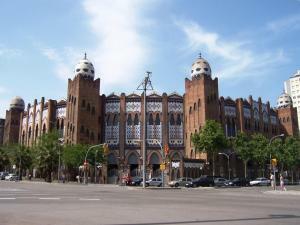 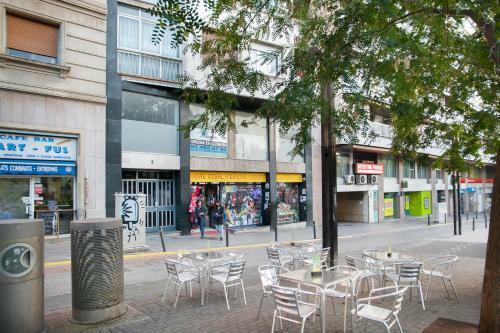 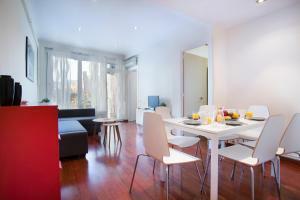 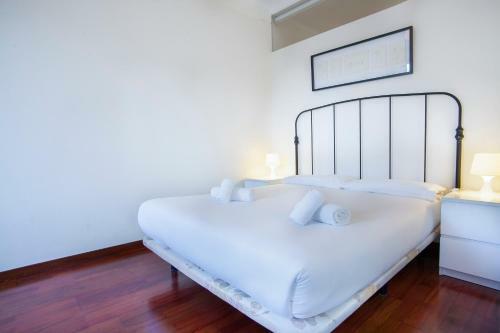 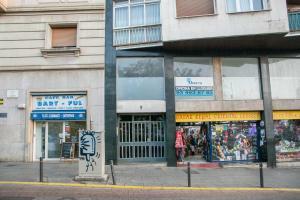 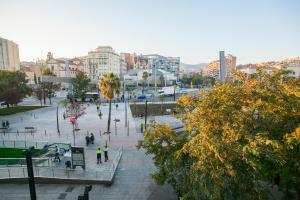 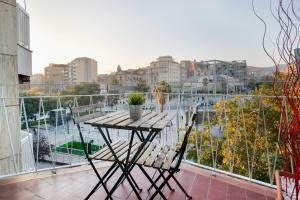 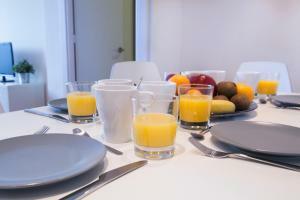 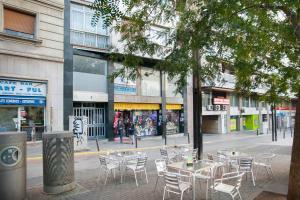 It is well connected by public transport, and Barcelona Plaza Catalunya and the city centre are both 15 minutes away by metro. 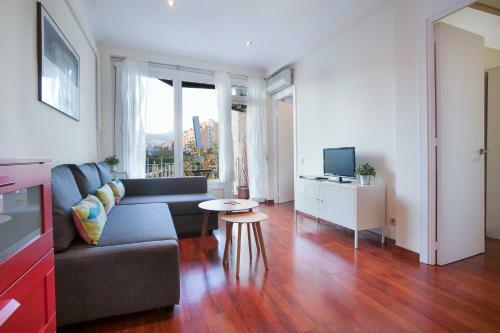 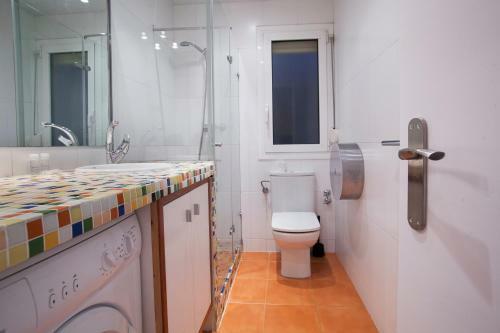 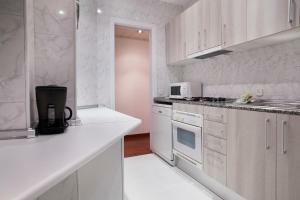 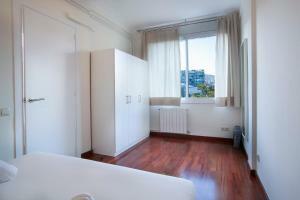 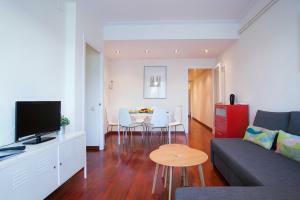 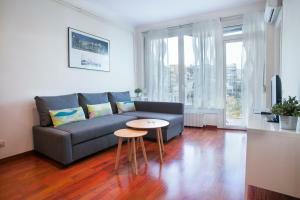 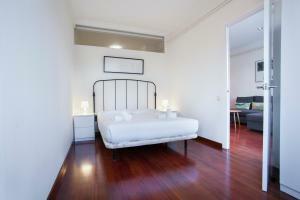 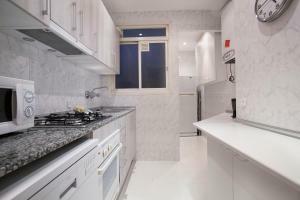 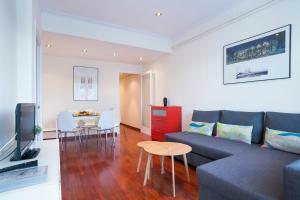 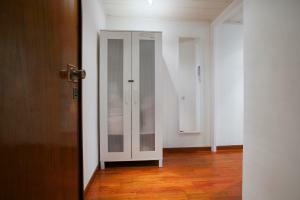 This bright apartment offers 1 double bedroom, a twin bedroom and a single bedroom. 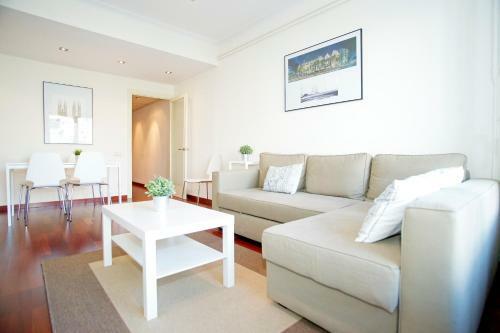 There is a double sofa bed in the living-dining room, which opens onto a balcony with street views. 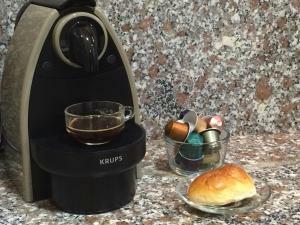 The kitchen is equipped with a fridge, microwave, and a dishwasher; while the bathroom comes with a shower, and hairdryer. 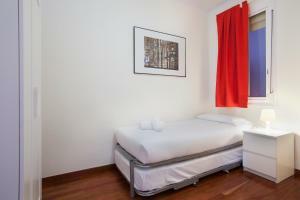 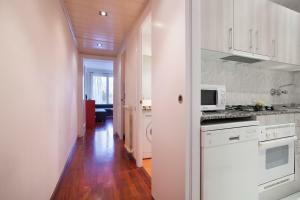 There is a washing machine, a clothes dryer; and ironing facilities are provided. 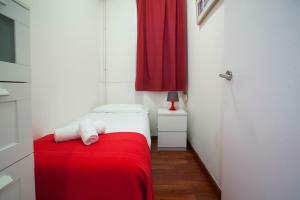 Rate: € 140.19 ... € 163.93; select dates below to get current rates.